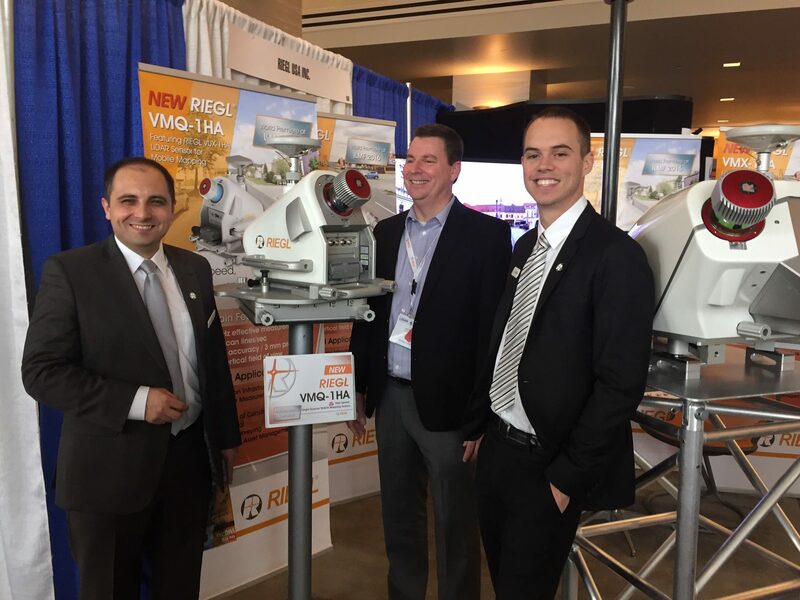 On February 22 at ILMF 2016 in Denver, RIEGL launched two new High-Speed Mobile Mapping Turnkey Systems featuring this high-performance VUX-1HA kinematic LiDAR sensor. The new VMQ-1HA High-Speed Single Scanner Mobile Mapping System, with one VUX-1HA scanner integrated, is an economically priced, lightweight system for the growing mobile mapping market. Fully integrated into the measuring head of the system, the sensor enables acquisition of dense point cloud patterns, even with single passes at typical traffic speeds. The usage of the system’s swivel plate enables the measuring head to be set to different predefined mounting angles, which enables the generation of different point cloud patterns meeting diverse project requirements. The optional integration of up to four cameras allows simultaneous acquisition of imagery to complement the captured LiDAR data. RIEGL USA, located in Orlando, Florida, serves as the North American center of sales, training, and support for RIEGL Laser Measurement Systems.